Burien Traffic Signal Control Box: Call for Artists — JDC Johnson Design Co. 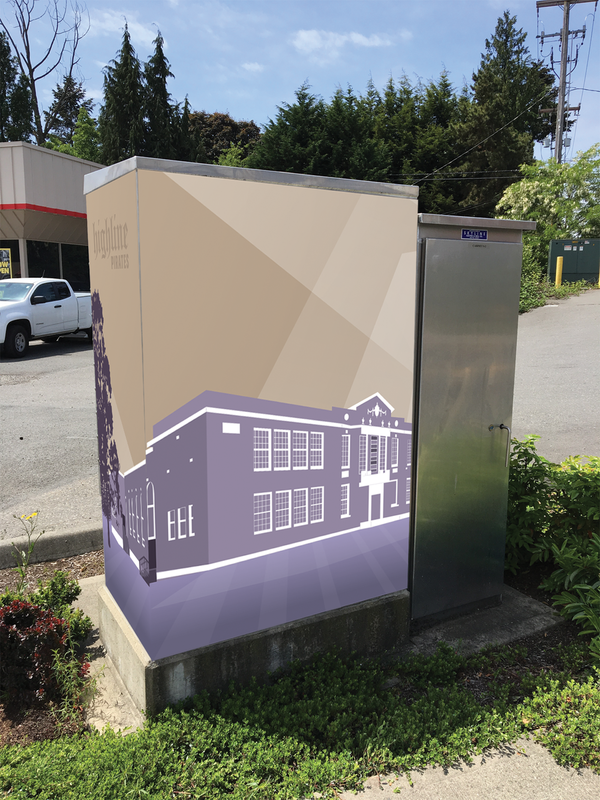 The City of Burien was looking to incorporate artwork onto traffic signal control boxes to showcase the neighborhood and business district’s identity while reducing graffiti on the boxes. The city invited the art community to submit three designs each for select traffic signal control boxes in the area. If your design was selected your artwork would be printed on vinyl material to be wrapped around the traffic signal control boxes for display. 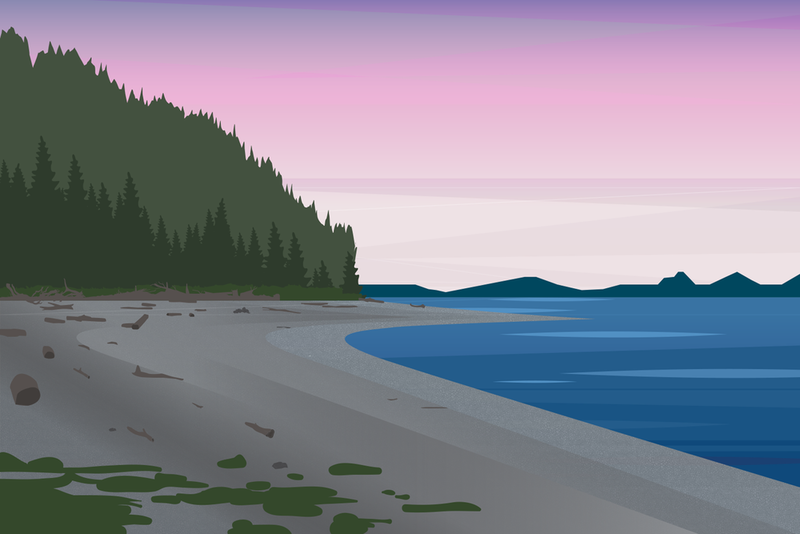 I enjoyed researching and illustrating Burien themed artwork for the competition. It was difficult to choose the three designs out of eight potential submissions. I was told that the three designs I submitted made it to the final rounds of judging but were not selected for final production. I look forward to next years competition. I graduated from Highline High School class of 2000. With the reconstruction of the school in place, I felt that capturing the old architecture of the school would help preserve the historical significance. This illustration was referenced from an old photo of the school in the year 1924. Ed Munroe Seahurst Park Burien, WA. Seahurst beach or Burien’s crown jewel is one of the many parks in the area. The park is named after Ed Munro a historical leader in the Burien community. The Architect Welton Beckett graduated from the University of Washington. 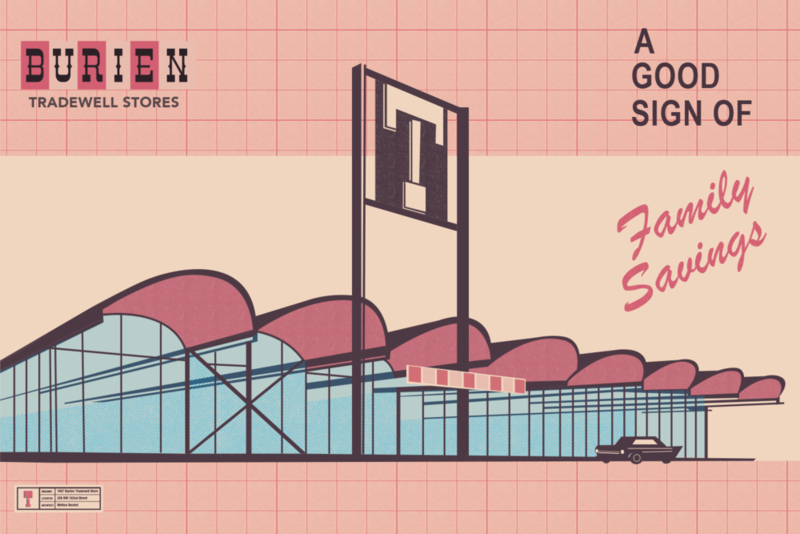 He designed the store in 1957. The store structure can still be identified today on the corner of 236 SW 152nd St. I felt that this structure had some historical importance and I appreciated the architecture style. I was able to reference a old photo of the store to illustrate the building.